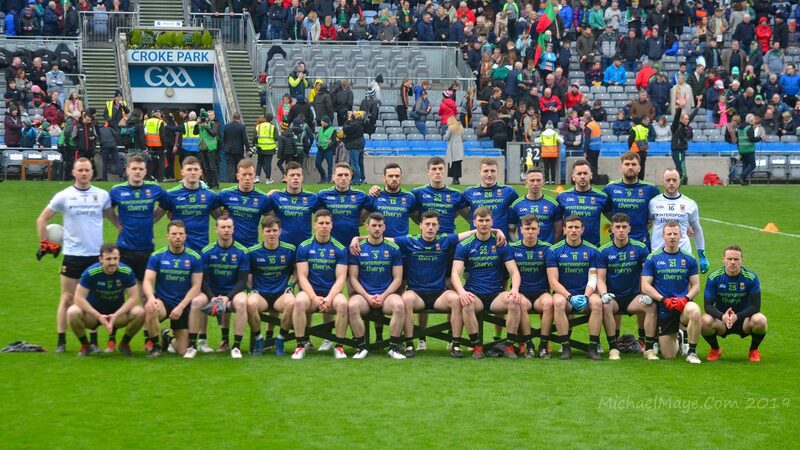 This year’s National Football League campaign was a hugely successful one for Mayo, yielding the county’s first national title for eighteen years while at the same time providing valuable match experience to a host of new players. But the League is now over and so attention is already turning towards the summer. In this episode of the Mayo News football podcast we close the book on Mayo’s 2019 National League campaign and look ahead to the football action coming up over the next few weeks. Co-hosts Rob Murphy and I get this episode going, as we chat about the League final and discuss the wider significance for Mayo of this League campaign. Rob then catches up with Mayo News columnist Billy Joe Padden who provides his thoughts on how the League went for the county and who picks out some highlights from the spring campaign. After that, Rob gets together with Mayo News sports editor Mike Finnerty to turn the lens towards the coming weeks, as they discuss Mayo’s upcoming Connacht Championship opener in New York as well as the first round action this weekend in the Senior and Intermediate club Championships. This latest episode of the Mayo News football podcast is now online and is available to listen to on iTunes and SoundCloud, as well as on Spotify and Podomatic. You can also listen to it directly on the Mayo News website as well as here on the blog using the SoundCloud player below or the one on the panel on the right. Look forward to listening Willie Joe. Does anyone know when the NYC Mayo Day jersey can be bought? Any word from the county board meeting last night RE: tickets. I’ve got mine sorted, but now worried hearing Gaelic Park is being opened at 08:30, they will not be worth the paper they are written on? The NY ticket issue is a shambles and is unfair on supporters. Nobody really knows what’s going on? Its going to be a huge disappointment for people like myself that are travelling if we don’t get in. Wouldn’t you think by the year 2019 that the GAA would have a half-decent ground in NYC – I don’t even think they own the ground; believe its owned by Manhattan College. Spotlight – Who would end up paying for that white elephant in NYC? Ticket prices for league and championship games are already high enough. There is 1 day a year where capacity is tight in Gaelic Park so it’s an adequate stadium for what is needed. Reading between the lines of what John Prenty said, I’ve a feeling everyone will get in. Just don’t turn up 15 minutes or even an hour before throw in and expect to get straight in. Ticket situation is taking away from the event somewhat. I was there 5 years ago and it was a fantastic experience. I got there early for fear of not getting in. It was a funfair atmosphere and everyone in great spirits. I particularly like getting the opportunity to mingle with the Irish diaspora. One guy was in his 80s, drove down from Boston that morning to attend the match. I think it’s worthwhile the travelling supporters are senstive to the Irish there. Some will be missing home badly. Some will be displaced by a huge Mayo crowd! Those most likely won’t get to attend another match this year. What I would say is that while folks (understandable too) may get caught up on getting in, stress on the day, and having to deal with big crush getting to and from there seats, please do try and keep in good humour and bring loads and loads of patiences. For those that may get turned away … I highly recommend ‘Punch Bowl’ though I’m not sure if the match is being aired. For those intending on travelling, or those who might be based in NY – would there be any chance of streaming this on facebook live or Periscope?. I know it was done a few years ago when Roscommon played there (and in which the Rossies came away with a narrow victory). – we hadn’t won a league title since 1981! I wouldn’t be paying much heed to anything Mulligan has to say. He’s been desperate to try to be relevant for years now. Thanks for a very enjoyable podcast Willie Joe, Rob and team. I liked that Mike Finnerty put a little section in the Mayo News sports section this week, and mentioned it also on the podcast, to recognise three players who stood out by their consistent performances across the entire League. As well as Aidan O’Shea and Jason Doherty he singled out Keith Higgins. I have admired Keith as a player for a long time now – he is just amazing after all these years. Class is permanent. But I think it’s his work rate and dedication to delivering excellence, this year again, as in many other years, that especially impresses me. More power to you, Keith, and all the lads.